Bryan Mackie of Antler Creek Wildlife Creations has created a really amazing new piece of art this spring. 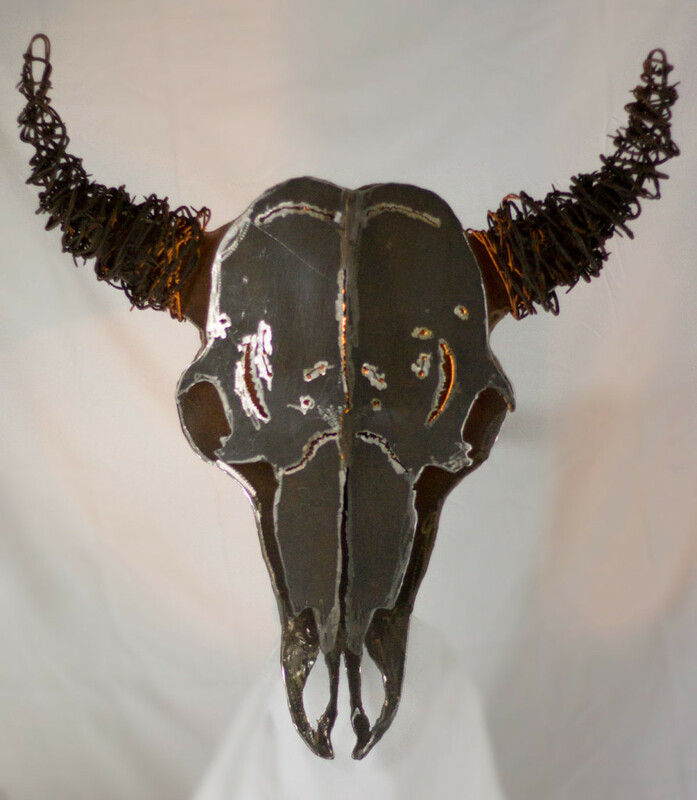 Using a real bison skull as an example, he has made a metal and barbed-wire bison skull wall lamp. Life size, created of old metal, and totally unique this piece of art showcases the amazing things that he can do with metal and wire. Find out more about his business at AntlerCreek.com. We were happy to assist him with photographing this piece to add to his website. We’re working with Bryan to expand his business through marketing, website and print design. We also can provide photography services if needed. In this instance we set up a studio in Bryan’s garage to photograph this sculpture, as well as some of his antler art. We’re willing to help our clients with whatever they need. Give us a call and we’ll see how we can help you with your business! Thanks to Barbara at Sign Solutions Bozeman!